Ranked Band 1 by Chambers Asia Pacific in 2017. CCW is acknowledged as a high-calibre offering that handles a variety of contentious and non-contentious mandates for both domestic and international clients across construction and commercial sectors. 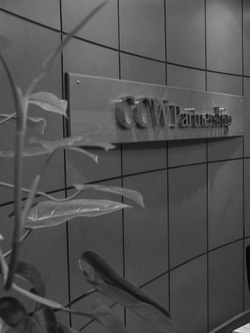 Established in 1980, CCW Partnership has a leading reputation in litigation and arbitration, particularly, in construction, banking, corporate, property, insurance, intellectual property and other areas of commercial and civil dispute resolutions. It is also highly regarded in banking, finance, general corporate and commercial, property and real estate law. The firm works on a regular basis with major law firms from other jurisdictions for clients with international business interest. Ranked Band 1 by Chambers Asia Pacific in 2016. CCW is acknowledged as a high-calibre offering that handles a variety of contentious and non-contentious mandates for leading local clients and major international brands. The team maintains a robuts dispute resolution practice with broad expertise in construction, insurance and intellectual property. Peers report that the firm is also "well known for corporate work". A peer notes: "CCW Partnership definitely belongs in the top tier." The firm takes advantage of a strong litigious practice that ably augments its formidable financial and corporate expertise. CCW Partnership is known for its litigation prowess, and complements this with strong financial and corporate capabilities. "CCW Partnership definitely belongs in the top tier," says one peer. CCW's international capabilities are recommended by one corporate client: "It is one of the top legal firms in the country. The lawyers there have good references and great testimonials." This teams receives particular praise for its litigation expertise; on this front, it recently advised on construction disputes. The practice also handles a range of transactional and advisory matters relating to corporate, finance and real estate work. CCW Partnership was established on 1st April 1980. It was formerly known as Choo Chan & Wong. CCW Partnership is one of the largest full service commercial law firm in Brunei Darussalam. The firm provides high quality services and solutions that are client driven and tailored to meet the business and commercial needs of its clients with professionalism and integrity. CCW Partnership is a leading full service business and commercial law firm in Brunei Darussalam and has been consistently ranked by Chambers Global - The World's Leading Lawyers, Chambers Asia, IFLR 1000, AsiaLaw & Practice and Asia Pacific Legal 500 as a leading law firm in Brunei Darussalam. The firm has 4 partners, 1 senior associate, 2 associates and 1 consultant. Commercial, corporate, banking and finance, tax and securities. Commercial and civil dispute resolution, and arbitration. Construction, joint ventures, projects and infrastructure. Conveyancing, property, project development and project financing. 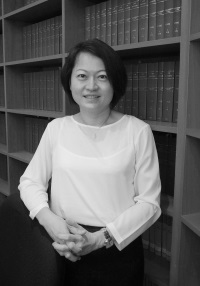 Linda Lee Lian Khing, LL.B (Hons), LL.M (Merit), managing partner, was called to the English Bar in 1991 and has been in practice since September 1993. 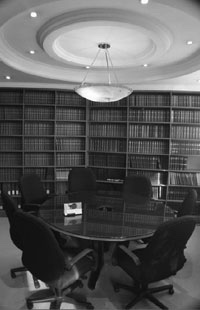 Practice areas: civil and commercial litigation, construction, insurance, banking, insolvency, property and matrimonial law. 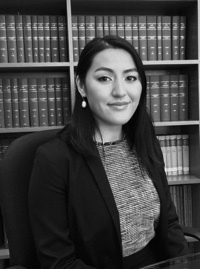 Linda Lee is a Commissioner for Oaths and has been mentioned in IFLR 1000 and Asialaw. She appears before the High Court and Court of Appeal of Brunei Darussalam. 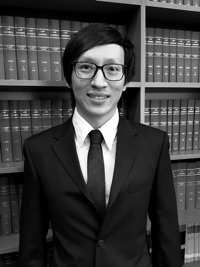 Tang Weng Leong, LL.B (Hons), LL.M (Merit) is a partner. He has been in practice in Brunei since 2004. 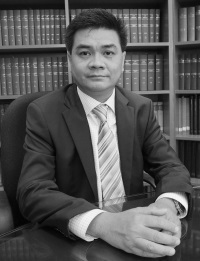 Prior to this, he was in practice as a commercial and civil litigator in Kuala Lumpur, Malaysia for over 9 years from 1995. Practice areas: commercial and civil litigation, banking, insolvency, shipping, insurance, property and professional negligence law. Tang Weng Leong appears before the High Court and the Court of Appeal of Brunei Darussalam. He has also appeared in the High Court and Court of Appeal in Kuala Lumpur, Malaysia. He has been mentioned in Chambers Asia Pacific. Harold Ng Hann Jaun, LL.B. (Hons), partner, was admitted as an advocate and solicitor in Brunei Darussalam in 2006. Practice areas: property, conveyancing, project finance and banking. On Hung Zheng LL.B (Hons), partner, was called to the English Bar in July 2006 and admitted as an advocate and solicitor in Brunei Darussalam in 2007. 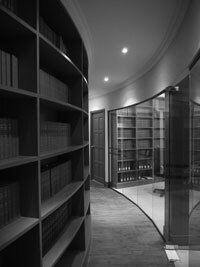 Practice areas: intellectual property, commercial and civil litigation including banking, insolvency and insurance law. He is on the panel of ASEAN Experts IPR SME Helpdesk. 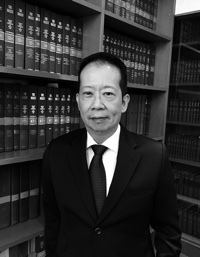 Andrew Ong Teck Wee, B.A. (Hons), M.B.A, MCIArb was managing partner and is presently a consultant with the firm. He was called to the English Bar in 1982 and has been in practice in Brunei Darussalam since 1985. Practice areas: civil and commercial litigation, construction, arbitration, property, corporate and banking law. He appears before the High Court and Court of Appeal of Brunei Darussalam. He has also appeared before the Privy Council, London. He is Honorary Consul of the Republic of Chile in Brunei Darussalam. 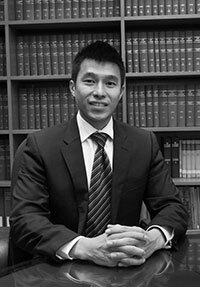 Andrew Ong is a Commissioner for Oaths and is listed in Chambers Global - The World's Leading Lawyers, Chambers Asia, IFLR 1000, World Law, Asia Law & Practice and Asia Pacific Legal 500 as a leading lawyer in Brunei Darussalam. Adzim Amir Hamzah, LLB. (Hons) was called to the Malaysian bar in 2009 and admitted as an advocate and solicitor of the Supreme Court of Brunei Darussalam in 2017. Practice areas: mergers & acquisition (M&A) and corporate advisory with focus on the oil & gas, energy, shipping and healthcare industries. 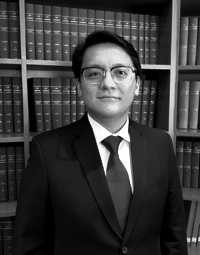 Adzim was a partner in the Corporate Division of Skrine, Kuala Lumpur where he acted for various domestic and multinational corporations in a number of large and complex cross border transactions and regularly advised on corporate structuring, compliance, governance, contractual, licensing, and regulatory as part of his corporate advisory work. Adzim is also experienced in handling non-litigious shipping matters and has acted for and advised financial institutions, ship owners, charterers, shipbuilders and receivers & managers in ship sale, ship registrations and reflagging, charter party arrangements, ship financing and mortgage. 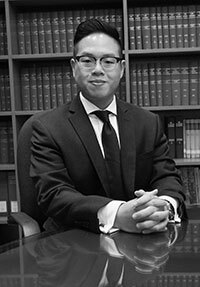 Andrew J. Wong, LL.B. (Hons), LL.M (Distinction), associate, was called to the English Bar in 2013, and admitted as an advocate and solicitor in Brunei Darussalam in April, 2015. Practice areas: Family and matrimonial, commercial and civil litigation. Vanessa On, B.A. (Hons), Diploma in Law (Distinction), associate was called to the English Bar in 2015, and admitted as an advocate and solicitor in Brunei Darussalam in December 2016. Practice areas: construction, competition, commercial and civil litigation.